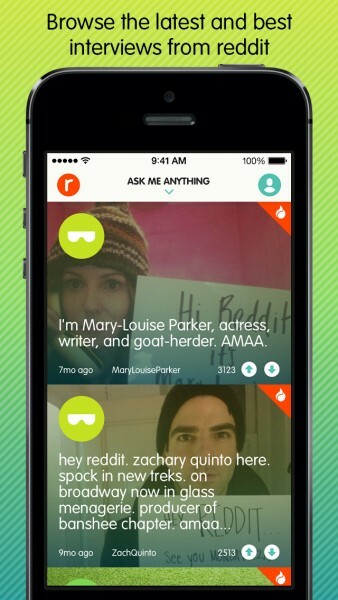 Ask Me Anything — official reddit AMA app (Free) by reddit is a new, official app for the entertainment and social networking forum after they abandoned iReddit back in 2011. 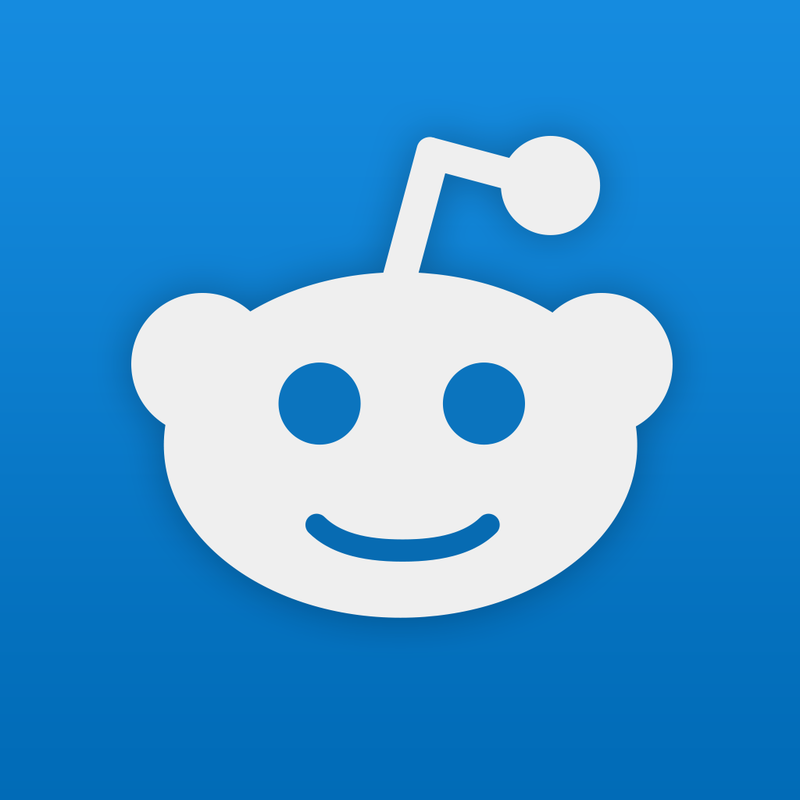 We heard that Reddit was working on another official app for iOS back in late April. 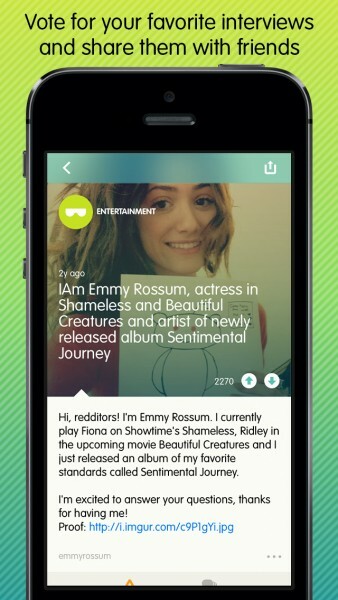 However, instead of being a full-fledged Reddit app, this one focuses solely on the highly-popular “Ask Me Anything” interviews of Reddit users, namely celebrities and other famous people. Reddit is one of those social networks that you either love, hate, or just don’t get. But it’s no denying it — most of the popular images, memes, and anything else that you may stumble upon while browsing the web may originate from Reddit. It’s a powerful source, and can be a big rabbit hole — I’ve lost hours just browsing various subreddits or whatever was trending on the front page. One thing that I’ve always found interesting were the AMA threads, but I hated how messy they are on the web, and even in various Reddit clients, like the powerful Alien Blue, which is my personal favorite. Fortunately, this new app solves that problem, and much more. 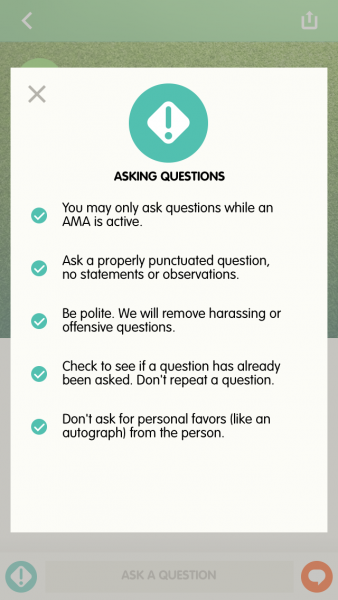 The design of Ask Me Anything is beautiful, which surprised me, considering how boring and basic the Reddit website is. 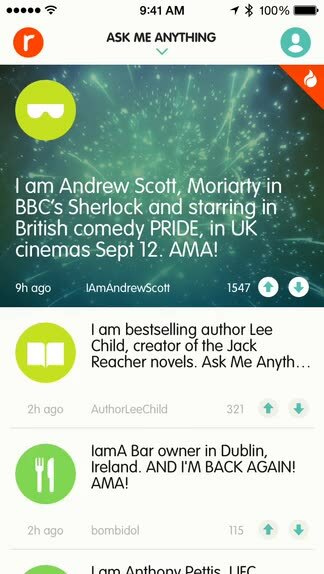 The app is colorful with eye-catching graphics for featured AMA threads, and the colors for buttons and icons are bright and vibrant. There are smooth animations to indicate that the app is loading data, which I found to be a nice touch. The sans serif font used is not my favorite for extended periods of reading, but it looks nice on Retina screens and is legible, so that’s a plus. 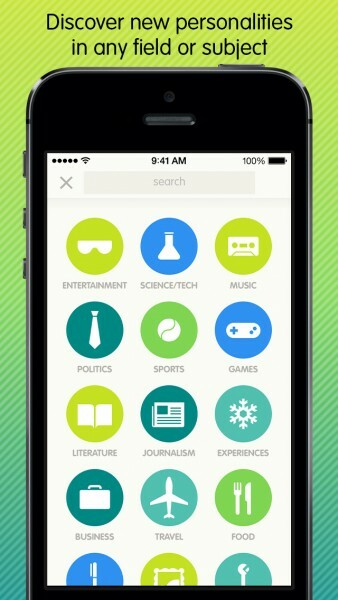 The layout of the app is also organized, and navigation is done in an intuitive way. You can use Ask Me Anything with or without an account. 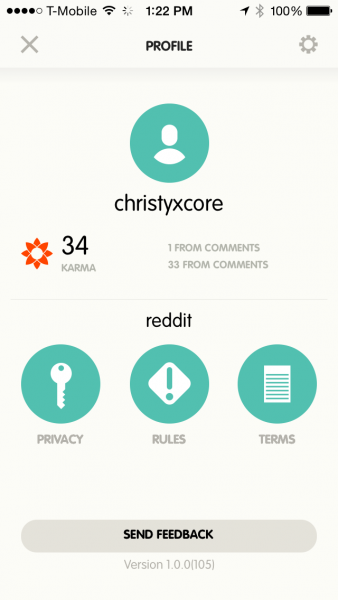 If you do use Reddit, you can log in from the settings, or the main screen on the initial launch. The benefit of logging in is that you can submit questions and vote a thread up or down, as well as the comments. You can even sign up for an account directly if you want. 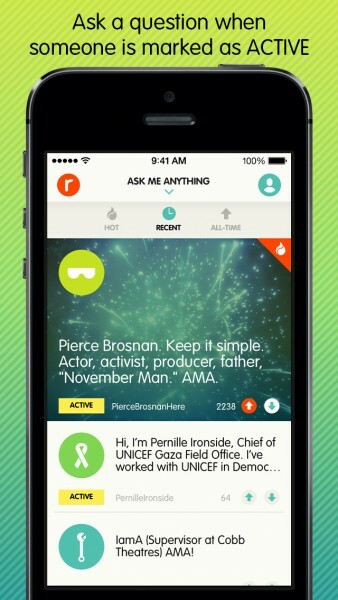 The main view of the app will be the “front page,” which consists of the hottest AMA threads at the moment. 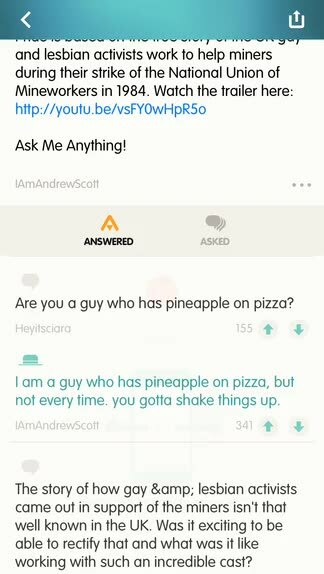 You can pull up to refresh, or tap on the “Ask Me Anything” header bar to bring up the filter menu for Hot, Recent, or All-Time. If you feel like browsing for AMA threads in specific categories, you can tap on the “r” button in the top left corner to bring up the search and category menu. The search allows users to look for any AMA threads via a keyword search. I found the results to be delivered quickly, so you never have to wait long to find what you’re looking for. 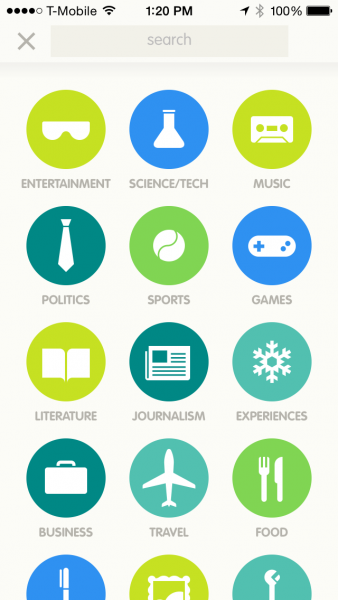 There are 21 categories that you can browse through, including popular ones like entertainment, science/tech, music, games, and much more. 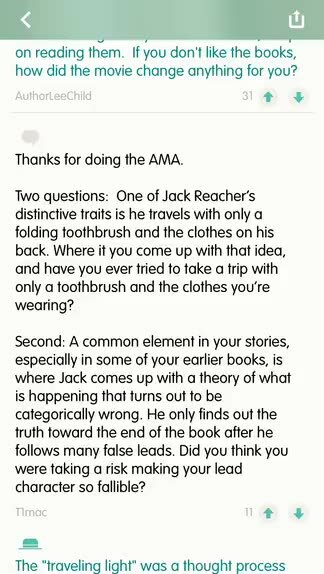 Selecting a category takes you to that section, where you can also view the AMA threads by what’s Hot, Recent, or All-Time. As you browse the threads, you can see when it was posted, who the user is, and how many upvotes and downvotes it has received over time. Additionally, there’s a useful “Active” indicator to make it easy to see what threads are still going, so you can submit a question (account required). Now, my favorite thing about Ask Me Anything is when you go view a thread. With the web view and other Reddit apps, you could never tell what submitted questions were answered and which ones weren’t because of the crappy interface. Fortunately, Ask Me Anything solves this problem by having two tabs for a thread: Answered and Asked. 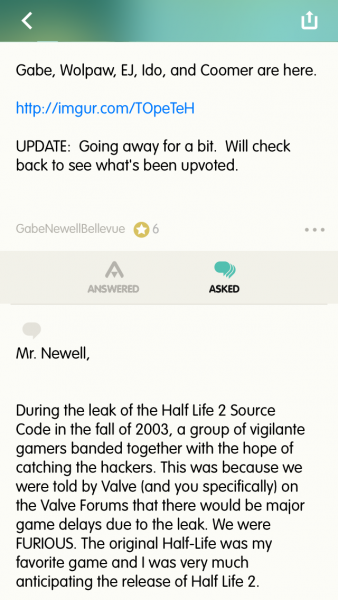 The Answered view will show the submitted questions from users, and the answer from the original poster (OP) in a teal color. Asked will just show all of the unanswered questions that have been submitted. 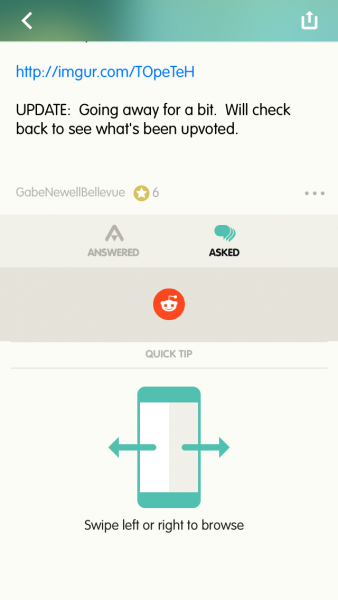 If you want to send your own question for an active thread, just enter it in the text field at the bottom of the screen. 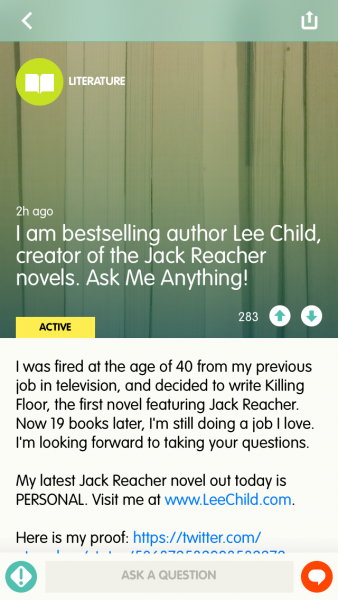 While you can always go back to the list of threads and find another one that piques your interest, Ask Me Anything also has an intuitive way of navigating while viewing a thread. 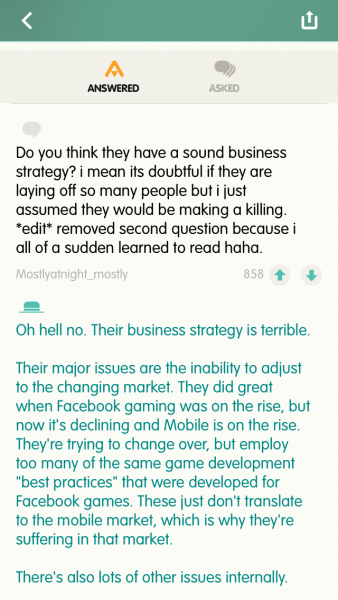 If you swipe left or right, you can jump to the next or previous thread from the list. A thread can be shared with the button in the top right corner, which brings up the Share Sheet with options of Message, Email, Twitter, Facebook, or just copying the link. I’ve only been playing with this app for a short while since it made a surprise appearance in the App Store last night, but I’m loving it so far. It has solved the problem with viewing AMA threads on the web and various apps, and I couldn’t be more grateful. Plus it looks fantastic and has a natural-feeling navigation system with tons of great content to go through. 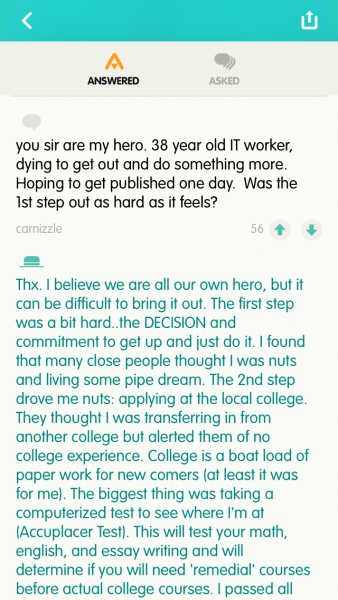 It’s awesome to have an entire archive of Reddit AMA threads in a single place. 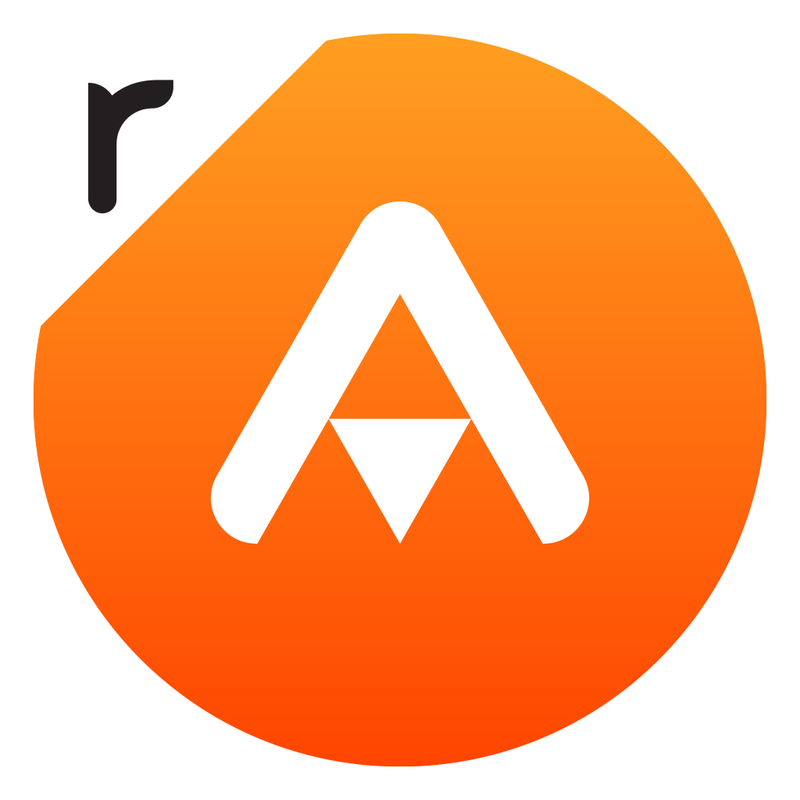 I highly recommend checking out Ask Me Anything – official reddit AMA app if you are in the mood for catching up on some great interviews on the social media site. You can find it on the iPhone App Store for free.